WhatsApp has been a most widely used messenger across the whole world. 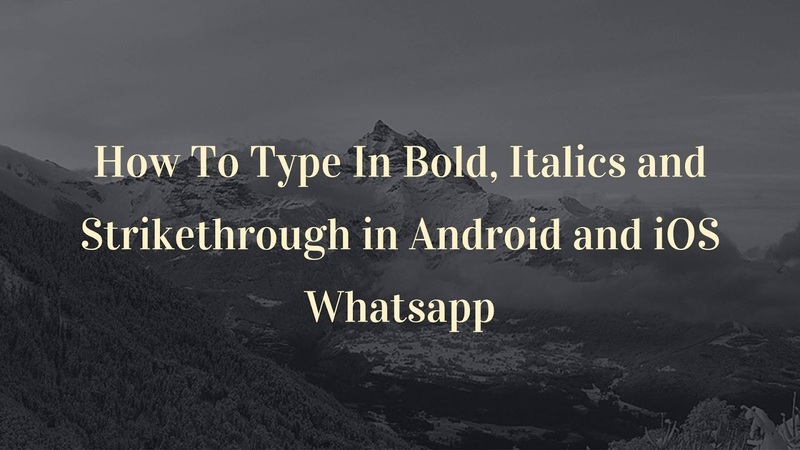 This is request from one of our visitors asking about how they can write in WhatsApp in Bold, Italics or Strikethrough. So, here is a post regarding this. Now to add Bold formatting, just add (asterisk) “*” before and after the text. For example, *Techno Geek Network*. 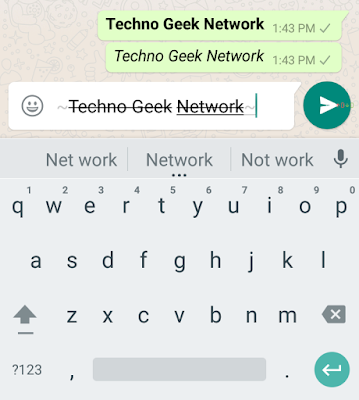 Hit the Send button, and WhatsApp will automatically make it bold. 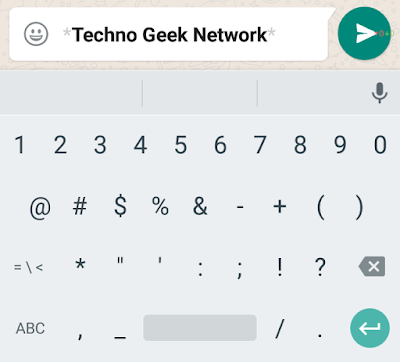 In order to type in Italics, you’ll need to add (underscore) “_” before and after the text. 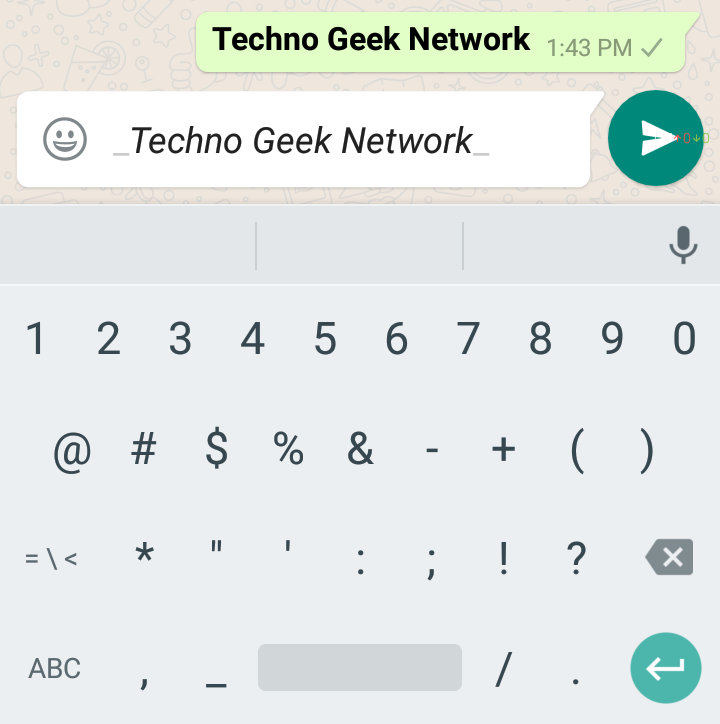 Same like Bold formatting, WhatsApp will now convert the text to Italics. The last and the final is Strikethrough. In order to use that, you’ll need to add (tilde) “~” before and after the text.